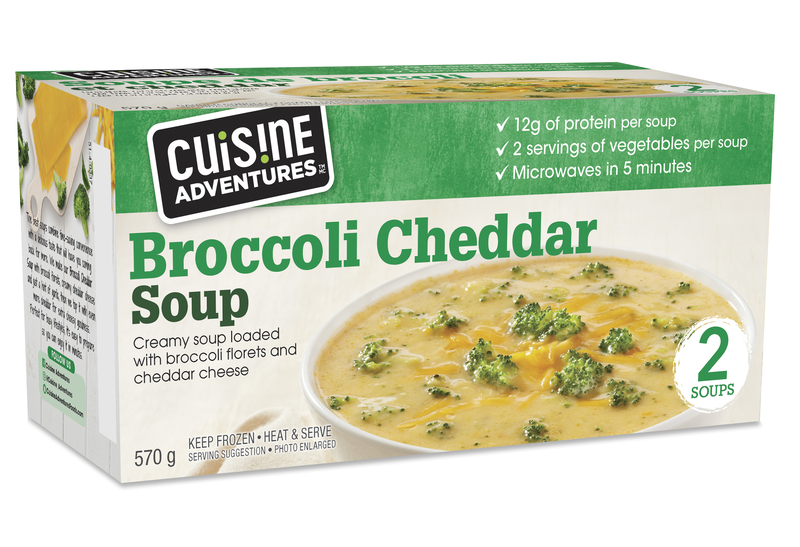 Creamy soup with freshly sliced onions, Cheddar cheese, broccoli florets and a hint of garlic. Topped with more cheddar. 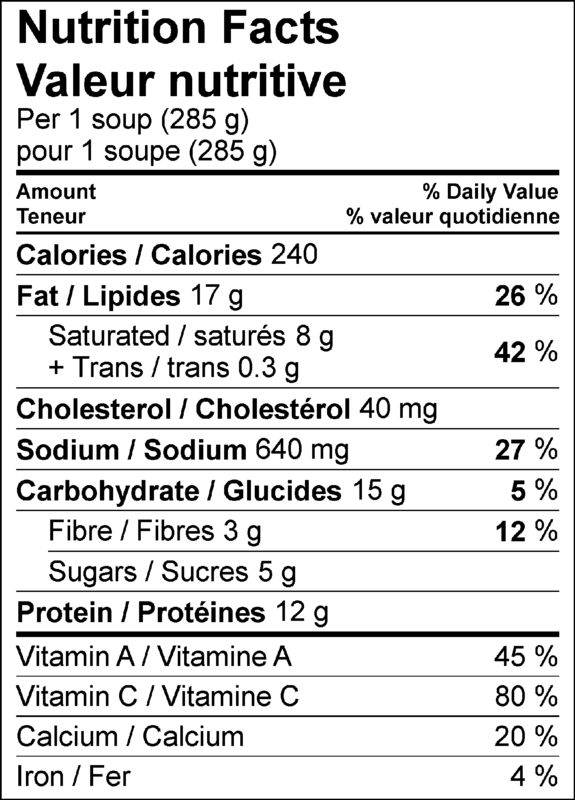 Vegetable broth (water, cooked vegetables [carrot, onion, celery], sugar, corn oil, potato flour, salt, flavours, carrot powder), Broccoli, Cheddar cheese, Milk, Onion, Cream, Corn starch, Canola oil, Gelatin, Garlic, Salt, Yeast extract, Soy lecithin, Cellulose, Colour and flavour. Keep frozen until ready to prepare. Remove all packaging. Ensure product reaches a minimum internal temperature of 165°F (74°C). Since individual appliances vary in temperature, these instructions serve as guidelines only. Let stand for 1 minute before serving as product is very hot. 1. Place 1 soup in a microwave-safe bowl.